Imagine a stress-free dental visit. 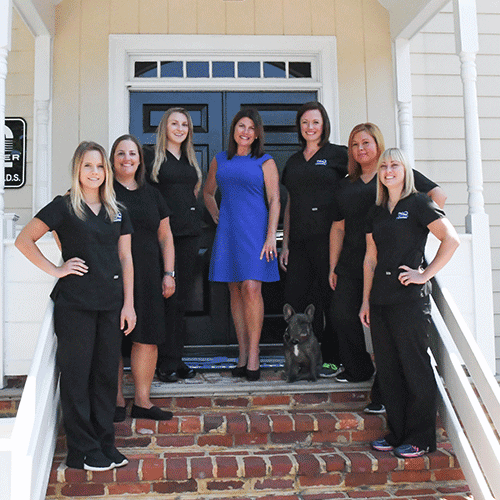 At James River Family Dentistry, your comfort and care are our top priorities. We are dedicated to delivering the highest-quality dental services and we do so by leveraging the most advanced dental technologies available. At your first appointment, we will collect your health history and any other dental records you may have, including films. Dr. Guthrie will thoroughly examine you and, if needed, take new X-rays of your teeth and mouth. Our in-office dental technology allows us to show you the results of your X-rays and intraoral scans immediately so you will leave the appointment knowing your diagnosis and what to expect. After your examination and X-rays, Dr. Guthrie will discuss the treatment options available, answer any questions you may have and you can make a follow-up appointment. Our administrative staff is ready to help you with questions about scheduling, financial policy and insurance to keep that part of the process as simple as possible. Please alert the office if you have a medical condition that may be of concern prior to treatment (i.e., diabetes, high blood pressure, artificial heart valves and joints, rheumatic fever, etc.) or if you are currently taking any medication. By filling out your forms now, you can save time in the office later. We will schedule your appointment as promptly as possible. If you have pain or an emergency situation, every attempt will be made to see you that day. We try our best to stay on schedule to minimize your waiting. Due to the fact Dr. Marci Guthrie provides many types of dental services, various circumstances may lengthen the time allocated for a procedure. Emergency cases can also arise and cause delays. We appreciate your understanding and patience. At James River Family Dentistry, we make every effort to provide you with the finest care and the most convenient financial options. To accomplish this we work hand-in-hand with you to maximize your insurance reimbursement for covered procedures. If you have any problems or questions, please ask one of our educated team members. For your convenience we accept Visa, MasterCard and Discover. Payment is due at the time service is rendered unless other arrangements have been made in advance. Please remember you are fully responsible for all fees charged by this office regardless of your insurance coverage. We will also send you a monthly statement. Most insurance companies will respond within four to six weeks. Please call our office if your statement does not reflect your insurance payment within that time frame. If you have questions regarding your account, please contact us.